Thatch roofs are a beautiful, traditional style of roofing seen among many historical and listed properties across the UK, but the replacement and maintenance of high-quality thatch can be a worrying and costly experience. With trained thatchers in short supply and waiting lists commonly averaging about 1 year for a thatcher to replace your roof, getting a thatch roof survey is essential to ensure that you are made aware of any potential repairs or replacements that are necessary. WHAT MATERIAL IS USED TO MAKE A THATCHED ROOF? There are different materials that can be used to make a thatched roof, below is a guide to the materials and how often they will need replacing. 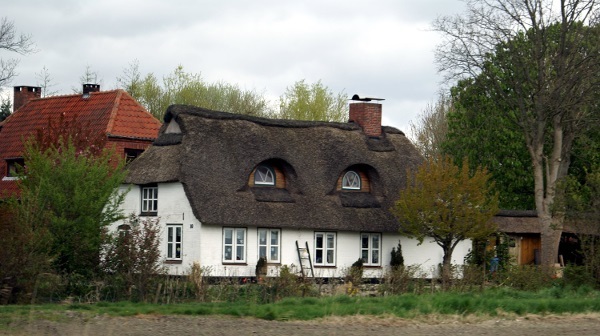 WHAT IS THE COST OF REPLACING A THATCHED ROOF? The cost of replacing a thatch roof can cost upwards of £100 per square foot, and with the average roof being 3,000 square feet this means paying out over £30,000 for a full thatch replacement; certainly not a figure you want to deal with after a house purchase. A thatch roof lasts anywhere between 15 and 35 years, so knowing the approximate age and condition of a thatched roof is essential if you are looking to buy a property with a thatched roof. SHOULD I GET A ROOF SURVEY? Some surveyors are not well-informed on thatched roofs, so it is essential that you ask for advice from a surveyor with experience in inspecting listed properties and historic properties with thatched roofs as they can advise you accordingly. With over 30 years’ experience specialising in historic properties including those with thatched roofs, Alan Rance can provide relevant advice needed to ensure that you are able to hire a professional who can maintain your roof for years to come. Alan Rance Surveyors draw from extensive local experience to assist clients in thatched roof surveys and provide advice for a number of different types of thatch. 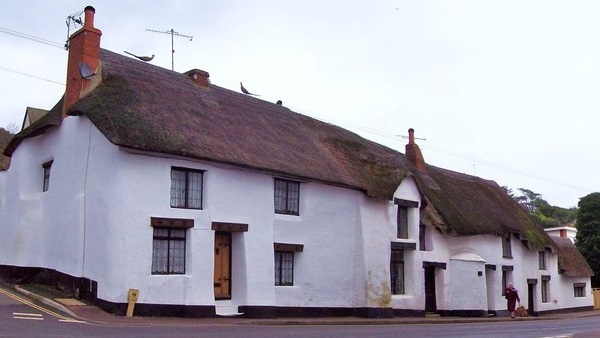 The thatched roof survey service, also known as the thatch roof survey, is designed to analyse the roof in question, advising on the type of thatch, its state of deterioration and why and any advice on restoring the roof to working condition. Thatching a roof is delicate and should not be undertaken by just anybody. Alan Rance is an experienced surveyor assisting clients across Dunstable, Leighton Buzzard, Tring St Albans, and further afield by covering a range of property issues, including domestic and commercial EPC’s, thatch roof surveys and more. Alan Rance has over 30 years surveying experience, ensuring that we provide impeccable services that allow our clients to make an informed decision. Alan Rance also specialises in listed building surveys and historic building surveys in order to provide clients with accurate and honest information designed to help them make an informed decision on a property. Thatched roofs were the main form of roof construction for many hundreds of years throughout many parts of mainland Europe and were particularly popular in the United Kingdom. Early forms of thatched roofs in the UK can be traced back to Celtic Roundhouses (circa 750BC to 12BC) where a combination of straw and mud were used in order to try to provide a watertight environment. The Romans (circa 43AD to 410AD), Anglo-Saxons (circa 420AD to 650AD) and the Vikings (circa 700AD to 1000AD) all continued to make use of natural resources such as timber for buildings and straw and reeds for thatched roof materials. However, the Medieval Age (circa 1066AD to 1500AD) is arguably the period of UK history where the use of thatch really accelerated and there are many examples of these types of building still in existence today. Most Tudor Buildings (circa 1485AD to 1603AD), continued to make use of timber frames with thatched roof however toward the end of this period other types of materials such as clay tiles were starting to be introduced in place of thatch. It is clear that thatched roofs were popular, primarily because they were lightweight (compared to more modern materials), and could easily be supported by timber frames. Plus, subject to appropriate installation, they would be watertight for many years. The use of thatch began to decline with the evolution of transport, particular rail, during the early Victorian Period (Circa 1837 to 1901), which allowed the transfer of materials such as Welsh slate across the UK as an alternative to thatch. ‘It is estimated that thatched roof construction in England decreased from one million properties in 1800 to about 35,000 by 1960, due mainly to lower transport costs and new techniques enabling other materials (such as cheap slate from Wales, or mass-produced clay tiles) to be used, with less skilled labour. The onslaught of combine harvesters had much to answer for too. With a far shorter cut, the wheat straw became unusable for anything other than grain production. It is easy to wonder how thatch is able to provide a watertight roof surface, given that the thatched roof structure is fundamentally straw or reeds placed on top of a building that is exposed to the elements often over a long period of time. The answer lies in the manner in which the thatch is installed and the pitch (angle) to which the roof is constructed. In fact, if you compare a thatched roof to a roof constructed with concrete or clay tiles you will often find that the thatched roof has a much steeper pitch, typically 50 to 55 degrees, which allows rainwater to be shed much more readily. Home Condition Surveys – A home condition survey covers a detailed inspection of the property in question, looking at all visible and accessible elements of the property. Any major or immediate defects found will be listed, with advice given on how these defects can be repaired. A valuation of the property may also be provided. EPCs & Commercial EPCs – An EPC or Energy Performance Certificate is a document that grades the energy performance of your property and provides advice on what can be done to make your property more energy efficient and cost effective. Alan Rance Surveyors provide both domestic and commercial EPCs in order to assist clients in making their properties more energy efficient, thus reducing the cost of heating and bills and also reducing their carbon footprint in the process. 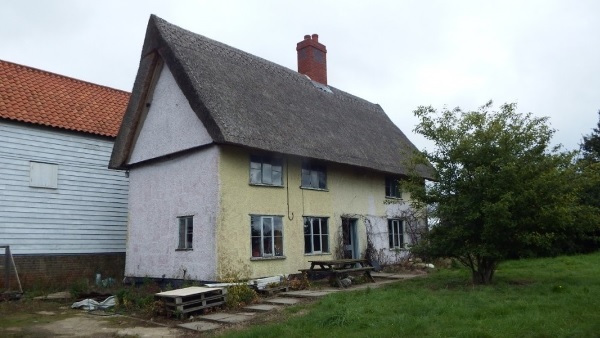 Whether your thatched house in Tring requires maintenance, you are looking at a thatched cottage survey in Aylesbury or you need situation-specific advice, Alan Rance Surveyors are always on hand to help. Contact us by calling 01525 220786 or by filling out the form to the right where we will get back to you shortly.